Is Lindsay's New Series Helping Her Or Hurting Her? I don’t know why, but I was extremely excited (like, “must pair this show with an enjoyable snack!” excited) to learn that Lindsay Lohan was filming a docu-series with OWN, the network run by the one and only Oprah. Despite the many downfalls of Ms. Lohan, I recognized such a spark and such talent from her earlier work. Lindsay lit up the screen and took on pretty challenging parts with such ease, that her future as an actress looked absolutely bright. I’m not willing to believe that talent just fades away – but I was willing to believe that with an insider look as to how Lindsay’s life is on a daily basis, her fanbase might realize how much of a struggle it is to regain the notoriety that she used to have as an actress, and not just as an addict. Recovery isn’t easy, but it’s especially not easy with paparazzi covering your every move, and people waiting for you to break down and fail. This was her chance to practice what she preaches, and show the world that she wasn’t necessarily the way that numerous sources have reported her as. Oprah’s show (simply called Lindsay) spared no expense with meeting Lindsay’s needs – not only was she reportedly paid a decent salary for her work, but the salaries of her entourage (including assistants and a sober coach) and housing were reportedly covered by the production of the show. Based on the fact that the “plots” aren’t necessarily riveting (think: Lindsay looks for an apartment for two episodes) it doesn’t seem to be edited into anything more than it truly is. But unfortunately, even with some guidance from Oprah, she just might not be ready. She may be too far gone. On camera, Lindsay is full of excuses – she doesn’t attend an AA meeting because there’s paparazzi outside (yet – have you ever seen pictures of celebrities entering meetings? She’s not the first, nor the last to attend) and she storms out of a shoot based on the fact that she feels like the production staff lied to her. Granted, she’s known for keeping toxic company – so perhaps she’s just lost the ability to trust. When she’s on, she’s on. After finally getting the keys to her apartment, Lindsay glowed in a way we haven’t seen for years. But when she’s off, she’s off – and marches to the beat of her own drum. Only through her docu-series can you see how her behavior and sense of entitlement truly impacts everyone around her. You’d think that if she was serious about making a comeback, she’d do everything it took to prove to the world that she’s willing to be a professional, and perhaps eat a slice or two of humble pie in the process. Especially since, as her assistant claimed, this series might be one of her last chances to make a good impression. At the beginning of Lindsay’s debut, Oprah told Lindsay that her intention was pure and she wanted her to win, stating “I’m only interested in what is the truth.” Yet it’s unclear as to whether or not Oprah expected the footage to include so many tantrums. I’d really like to believe that Oprah truly has Lindsay’s best interests at heart, but it’s tough to deny the truth: Oprah benefits from the series regardless of whether or not Lindsay gets healthy. 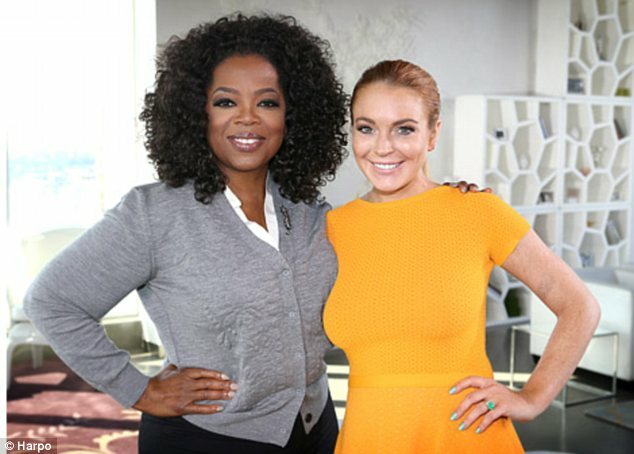 If Lindsay conquers her demons, Oprah could help take credit on getting her back on the right path. If she continues to be the version of Lindsay we see in tabloids, people will still tune in to watch her crash and burn. The show premiered to an impressive 700,000 viewers, which might not seem like a lot, but it’s a big deal for her small network. OWN President Erik Logan stated that the premiere had the network’s highest rating in the Sunday hour in the last 27 weeks with women between a 25-54 age bracket. I really want to believe that Oprah’s intention wasn’t to exploit Lindsay. While it’s not like Oprah is tight on cash, it seems hard to believe that she’d spend so much money to set Lindsay up for failure, or distract her from her dreams of being a sober, full time actress. Keep in mind, Oprah’s not the first to try and set this girl straight – Tina Fey famously tried to stage an intervention with Lindsay right in the beginning of her decline, when she was fresh from the set of Mean Girls. And while Lindsay doesn’t seem fond of her punishments, she does seem a bit addicted to the attention her personal demons and scandals bring her. Unfortunately, it seems to be the wrong type of attention – and that’s one of Lindsay’s biggest problems of all. By the looks of it, it seems doubtful that Lindsay will change too much by the end of the series. 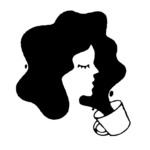 Even though her family and friends continuously shower her with praise, perhaps it’s not the best way to get the young starlet out of her own head and back into reality. Keep in mind, I don’t think anyone expected her to recover overnight. It’s just sad, since Lindsay doesn’t seem to want to improve as much as her fans do. When a girl who has proven to be hardworking keeps darting the opportunity to work on herself, it doesn’t make for an entertaining series – it’s just really, really depressing.